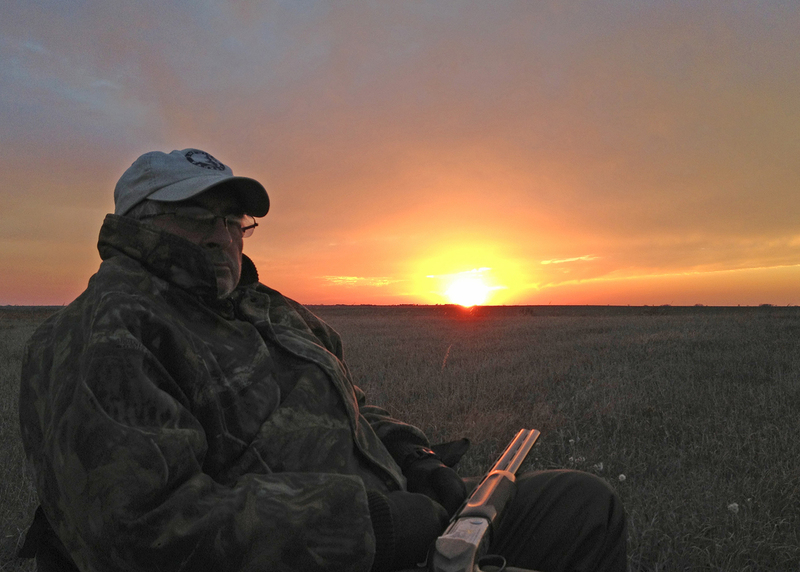 Post-hunt photos can reveal a lot about a bird hunter. Now that everyone carries smartphones with cameras and are posting picts in real-time from the field, I thought it would be a great opportunity to give uplanders a few tips to appear more competent in front of the lens. First off you’ve shot the bird, it is already dead. You can release the death grip on it’s neck. It is not going to spring back to life. 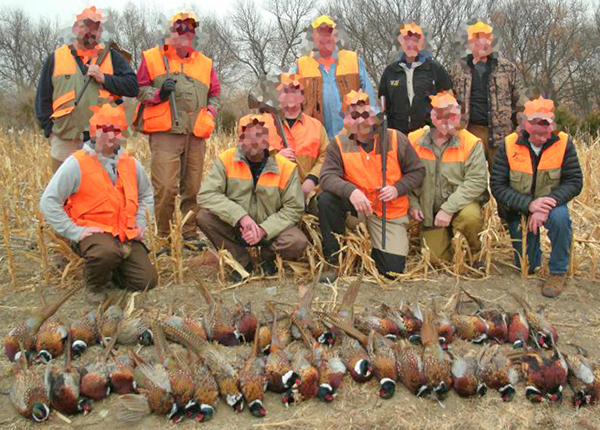 Photos of hunters squeezing the non-existent life from birds points to unresolved anger issues. Even when the grip is light, holding birds by the neck still visually conjures negative impressions of strangulation regardless if the bird was stone dead before hitting the ground. If you smile and hold the bird by the body you’ll look less torturous. Dead game birds are not gross. If you are clenching that bird by a toe trying to touch as little of it as possible, you look like a ridiculous wuss who probably shouldn’t be shooting birds in the first place. You shot the bird, now don’t be afraid to touch it. Don’t clutch one leg and extend it as far from you as possible in what appears as disgust. Confidently hoisting harvested birds by the body shows you are comfortable with the sport and deserving of a hefty game pouch. The infamous pile of birds does no one any good. Resist the urge to have your entire group throw birds in a pile, kneel behind them and put a scowl on your face so everyone looks tough. The birds aren’t an enemy you vanquished. To a casual observer a pile of birds looks wasteful. It speaks less to the success of the hunt than it does to an emphasis on mass slaughter. Focus more on everyone sharing a fun and safe day afield than showing that everyone killed a limit. 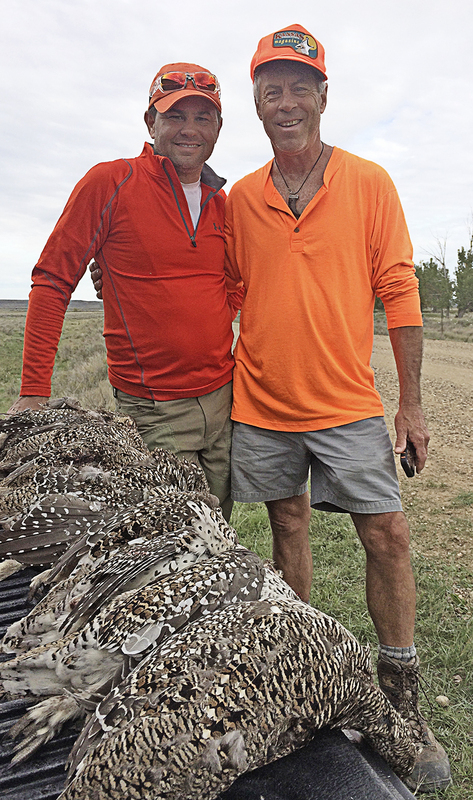 Photos with piles of birds make it appear that hunting is solely about killing. And which birds in that pile are yours? Worse yet, as an individual don’t sit behind an entire group’s harvest. It makes you look like a poacher. Most hunters are well aware of daily bag limits, but many non-hunters are not. If you are posing with numbers that don’t add up then you are 1) hunting at a preserve where limits don’t count and birds are pen-raised and paid-for or 2) apparently trying to take credit for birds you didn’t shoot. And again, it appears excessive. Nobody likes a game hog. Choose a couple nice specimens from the birds you shot and pose with them instead of an entire group’s limit; it makes a way more impressive snapshot. The biggest thing to remember is treat these birds with respect. On social media people will likely be looking at your hunting photos from many different backgrounds which include hunters and non-hunters alike. It can be visually assaulting for some to see dead birds slung about recklessly because they come at it from a totally different perspective. If you want your hunting rights to be respected, then you need to show regard for others’ sensibilities. 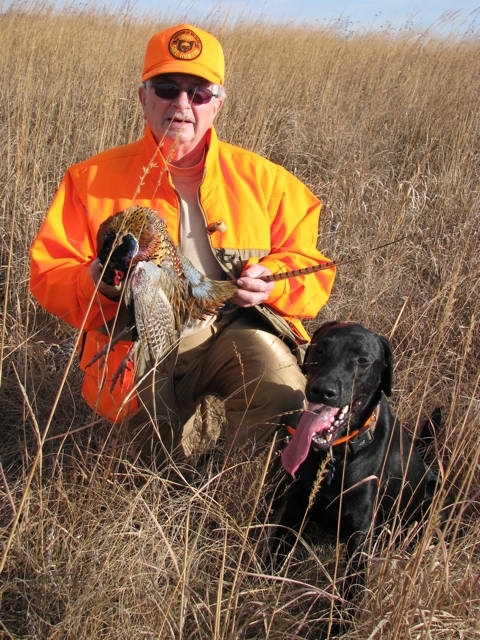 Depict upland hunting as the noble pursuit it is. Show that you aren’t just killing birds for sport, but that you appreciate these animals. I can already hear the howls. “Why pander to the anti-hunters? I don’t care what they think!” Here’s a news flash for you: the majority of Americans are not hunters. This is a democracy where the majority rules. Don’t give anyone reason to dislike hunting. Give them reason to admire it. Believe it or not, the biggest question about bird hunting I get from non-hunters is “do you eat them?” This obviously speaks to a widespread stigma that hunting is killing for sport. So in addition to the candids with your birds, include a couple photos of your pheasant chili, or chicken-fried grouse. Food is something that everyone can understand and a great frame of reference. Better yet show some of the salmon flies you tie or the home furnishing you accent with feathers. Displaying how birds are used beyond the game pouch helps connect the dots for folks with narrow views of hunting. One of the most amazing things about upland birds is their coloration when in hand. Very few photos actually capture this because the birds are entirely too far from the camera and appear as nondescript brown blobs. In your photos bring the birds close to the lens, hold the bird by the body and spread wings or tail feathers to help display the full spectrum of colors. 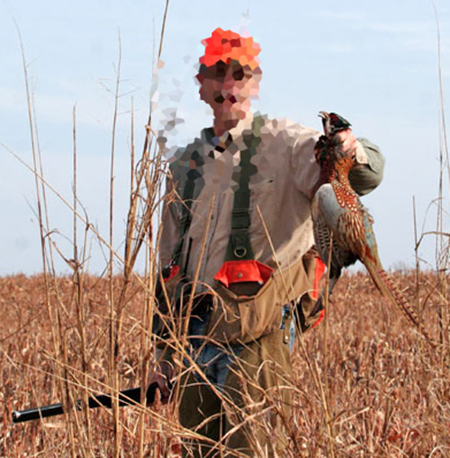 For the best photos bird hunting, include something in the background that helps identify the area. Capture the moment so that a decade from now you’ll recall the details of the hunt that made that day special. 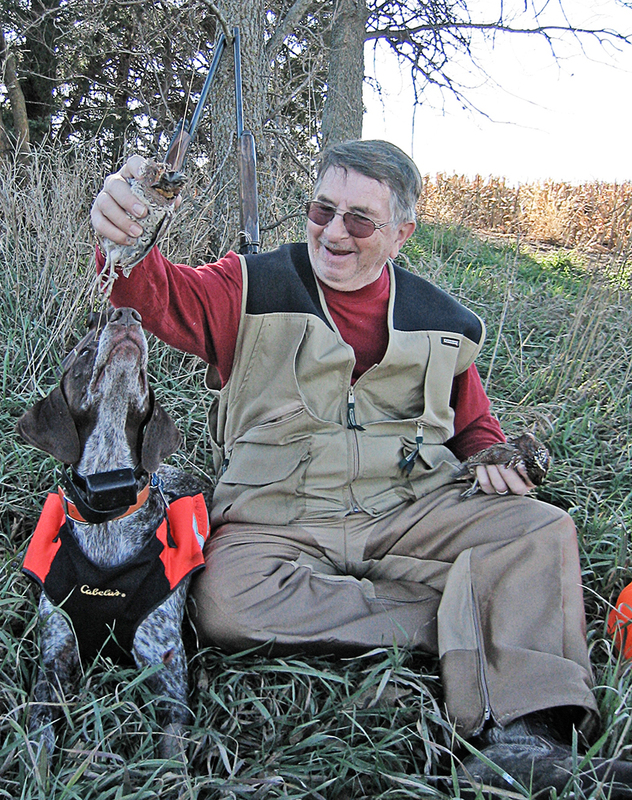 Stand close to the camera, hold a couple birds by the the body, include your hunting buddies and your dogs. For God’s sake you had fun hunting these birds so now smile and look like it. All my best photos are the ones that take me back to that exact field at a specific time and prompt stories of great days shared afield. Great article love the last picture. 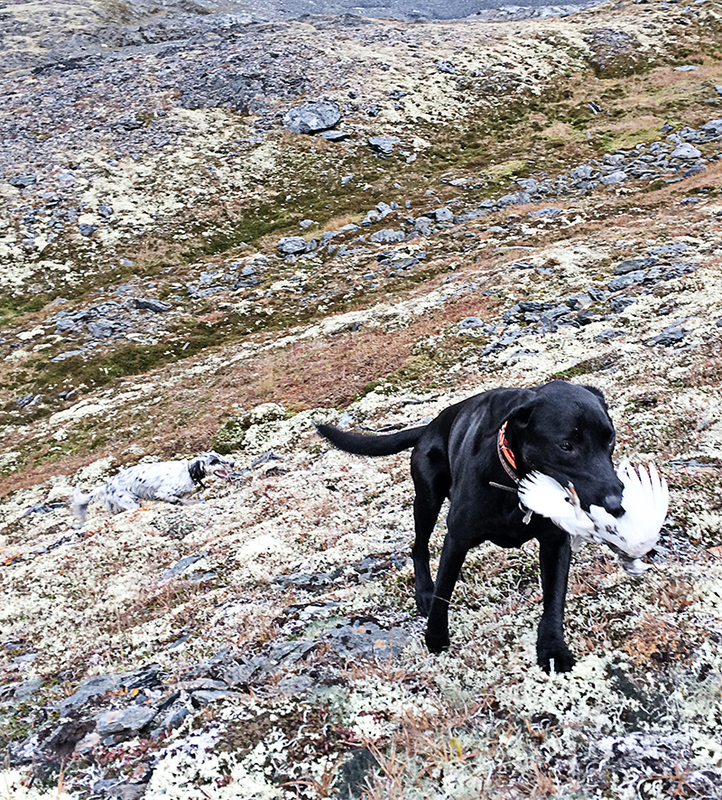 You should send a courtesy copy of this post to every upland lodge and guide in the country. The photos on their websites are invariably of the groups with the pile of birds. 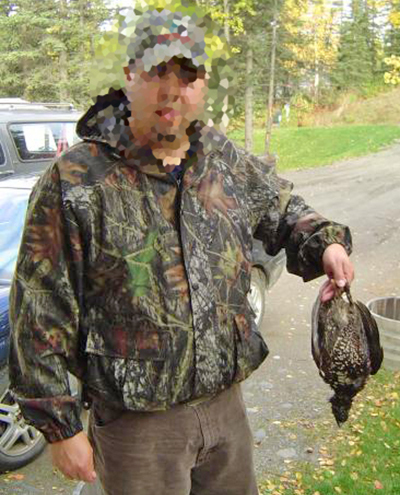 I’d also add to your article, don’t wear camo for upland hunting – makes you look like a poacher. I know that guy in the last picture! He’s a gem. Great picture. Enjoyed the very informative article, Brian! Nice job!